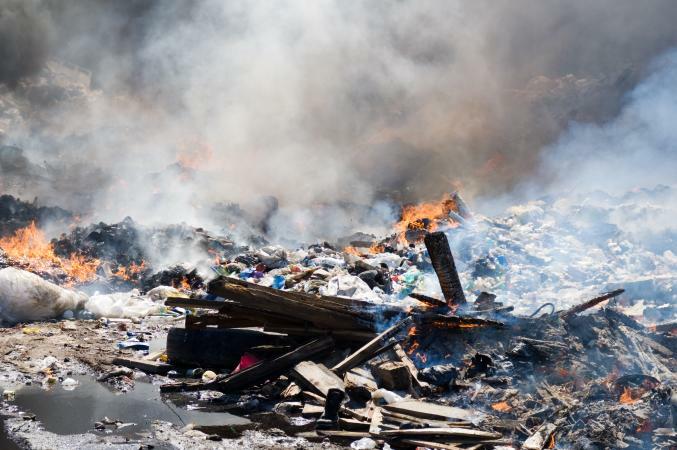 ROAD TOWN, Tortola – Acting Governor Osbert Potter has authorized the United States Virgin Islands Fire and Police departments to assist the Government of the British Virgin Islands with extinguishing a massive landfill blaze that erupted Wednesday night. Potter said his action is in response to a request from the Premier of the British Virgin Islands Orlando Smith. Seven firefighters from the territory’s Fire Service and three VI Police Department Marine Unit officers deployed on Thursday to provide assistance and technical resources. The fire is primarily kindled with construction debris at the Cox Heath Dump Site on Tortola. The territory’s first responders will assist the BVI Fire and Rescue Service and others on Tortola who have already responded to the emergency. Representatives from the VI Fire Service are: Fire Chief Oral Wheatley, Deputy Fire Chief Leonard Fabian, Deputy Fire Chief Antonio Stevens, Fire Marshal Johnny Frontal, Fire Lieutenant David Hodge, Fire Lieutenant Keno Walcott and Fire Corporal Michael Wilkinson. Sergeant Cornel Espirit, Officer Ashlee Hodge and Officer Jaime Serrano are the responders from the VI Police Department Marine Unit.